Legal Case management software helps law firms manage and organise client records, documents and important files and also schedule meetings and appointments while also keeping track of billings and the financials involved. These one-click solutions have many benefits and help to make the process of legal representation a lot more efficient and fast. Most major law firms use this method as it saves a lot of time and also because it is less taxing on their human resources. While the cloud-based type is leading the industry, or so the studies suggest, as per 2019, even the on-promise type has been seen making inroads into the market by successfully capturing some of the market shares. This software is used exclusively by law firms and providers of legal service around the world. However, even within the company, there are several levels of organisation and levels of users. Each user group utilises the software differently, as per the requirements of their job. Lawyers — They are continually handling documents, scheduling appointments and keeping track of billing hours and hence end up using this software the most to document their daily work. Though they do not handle administrative logistics, they use the system to work efficiently and stay on top of all their on-hand cases. Paralegals — Paralegals and assistants conduct research, file meetings and interview clients daily and hence use the system as a reservoir for all the data they collect and require. Administrators — The firm’s operations are run smoothly by administrators with help from management software. It makes their work a whole lot easier and better organised as all the information they need is consolidated and stored in one place. Courts– Courthouses use this software to keep themselves updated in this rapidly changing digital world. As most cases take several sittings to clear and reach a conclusion, such software helps to move the cases along and prevent any unnecessary holdups due to a scheduling error. 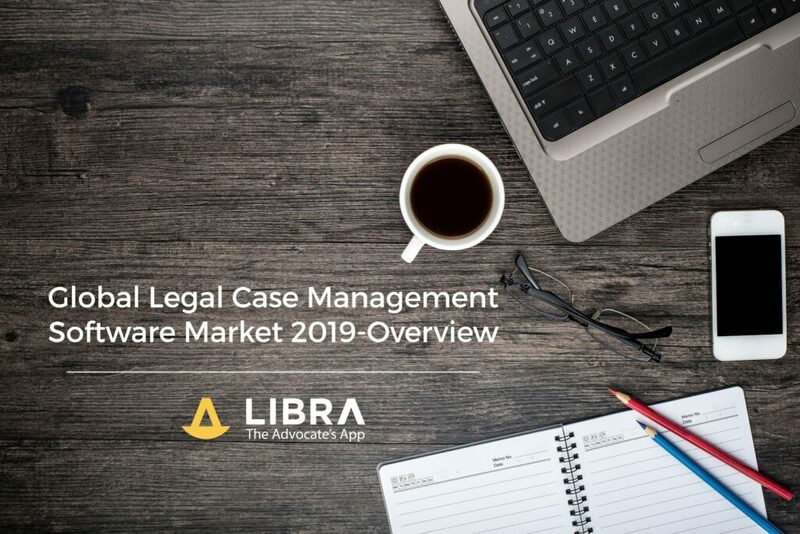 About 74% of the market was eaten up by legal establishments and attorneys as of 2018. The pricing is mostly dependent on the market trend and also on the number of new players who have entered the industry. More the number of new players, lower the average price goes as companies engage in cost controlling to gain a larger market share. As of the end of 2018, the global market is said to have hit a market value of 1050 million USD. These figures are astounding as the market had seen exponential growth since 2012 when the numbers were around 490 million USD. The growth rate is approximately 14.33%, and this CAGR is predicted to be on the rise. The Asia-Pacific region seems to be the focal point of the market as China leads the area with the largest market share. India and SouthEast Asia are keen fast-growing members who are expected to keep the trend going forward as more and more legal companies switch to such digital software leaving behind the pen and paper method of bookkeeping. The United States remains the key player in North America with any change of laws in America affecting the industry substantially. Europe also plays an essential role within the market as it is the second largest in terms of volume. According to AMA, the industry will hit a market size of 2 billion USD by the year 2024 at a staggering growth rate of 11%. Legal practice management software (LPMS) offers an entirely digital solution to all legal accounting problems in one single software, making the work of lawyers around the world a lot simpler. In this time and day, where efficiency is vital, having such a well-rounded software can go a long way in making your firm, the best in the business.